The Florence Copper Community Foundation ("Community Foundation") announced three grant recipients from the local community at Florence Copper Inc.'s open house event the evening of August 12, 2014. 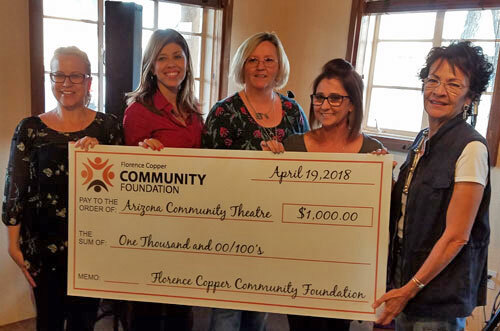 The nonprofits awarded funding were the Florence Fudge Company, the Copper Basin YMCA and the Future Forward Foundation - all nonprofits that directly benefit the communities of Florence and unincorporated Pinal County. 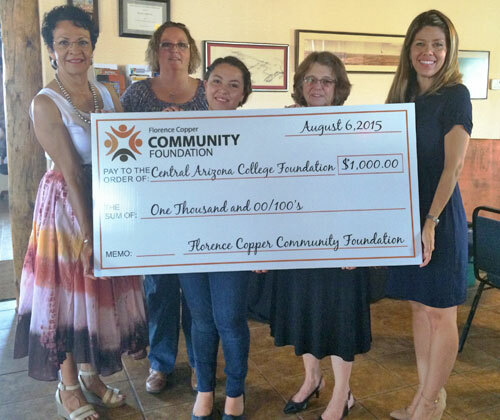 This was the second round of giving from the Community Foundation, which was established in 2013. (Left to Right) Rebecca Rios, Dodi Freeman, Doretta Allison, Lorri Rodriguez, and Cory Ecenbarger. 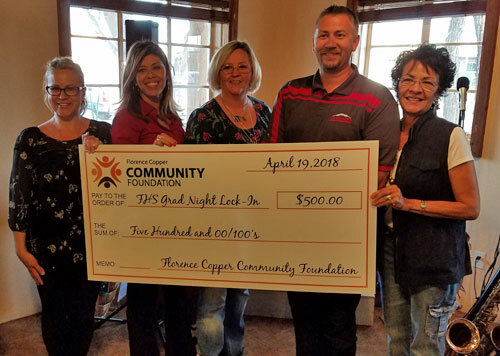 The Florence Copper Community Foundation presenting a $5,000 check to the Florence Fudge Company to expand the restaurant. 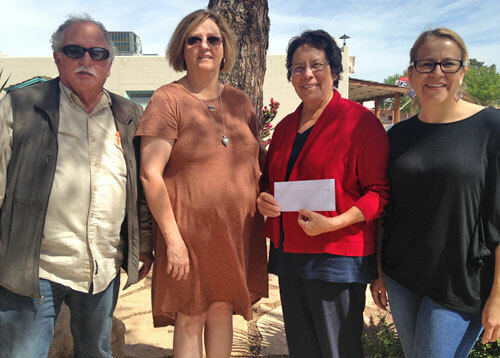 The Florence Copper Community Foundation presenting a $2,500 check to the Copper Basin YMCA of San Tan Valley to support their youth programs. This page was created on Thu Apr 25, 2019 at 11:26:32 PM Pacific Time.